Nancy Kerrigan received nines from the four judges on Dancing With the Stars during "A Night at the Movies," but the nearly perfect score wasn't enough to save her and partner Artem Chigvintsev. The duo were sent home in a double elimination with Nick Viall and Peta Murgatroyd as the competition reaches the homestretch. Despite the shock, Nancy said she's taking a lot away from the series. "Oh, a lot of friendships. It's been an incredible experience to be part of," she told E! News after she was eliminated. "The cast, the crew—everybody is amazing hard workers and so talented. It's just an incredible experience for me." Artem said it was a "very sad moment right now." "I wish we could've gone further, I feel like Nancy deserved to go further in the competition. It's sad because she's got so much more to offer…It came as a bit of a shock, I did not expect that," he said. Still, Artem said he's happy with what they accomplished. "The one thing is nobody can take away the seven weeks we had, and that's what matters and that's what counts," he said. Dancing With the Stars airs Mondays, 8 p.m. on ABC. Be sure to watch E! 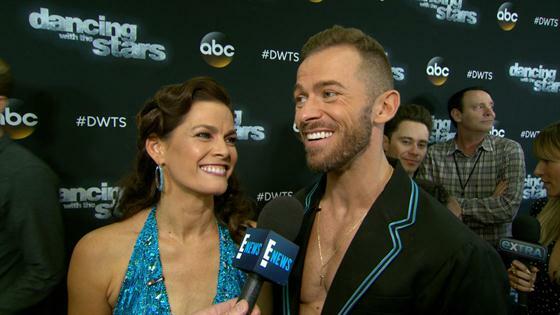 News at 7 and 11 p.m. for more DWTS scoop.